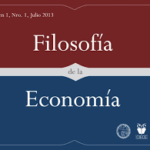 Iberian Journal of the History of Economic Thought. The Iberian Journal of the History of Economic Thought (IJHET) is an international and open journal that aims at stimulating discussion and debate on research in the field of the history of economic thought. It is published for the Iberian Association for the History of Economic Thought, that has organized since 1999 a high-level scientific Conference on the History of Economic Thought that is alternatively held in Spain and Portugal. Since September 2004, the Association publishes an electronic bulletin for exchanging information about Spanish-Portuguese publications and educational experiences, bulletin which is included in the IJHET. 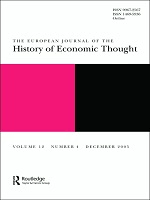 The European Journal of the History of Economic Thought. The European Journal of the History of Economic Thought (EJHET), a peer-reviewed journal, has quickly established itself as a leading forum for lively discussion on a wide range of issues in the history of economic thought. The Managing Editors and Editorial Board and Advisory Board members are drawn from throughout Europe and beyond, and are committed to encouraging scholars from around the world to contribute to international research and debate. Journal of the History of Economic Thought. Published for The History of Economics Society, the mission of JHET is to further the objectives of the HES. These are to promote interest in and inquiry into the history of economics and related parts of intellectual history, facilitate communication and discourse among scholars working in the field of the history of economics, and disseminate knowledge about the history of economics. It is recognised as being a first class international scholarly publication. All articles are fully peer reviewed. Pubusing on the history of economic thought and analysis, History of Political Economy has made significant contributions to the field and remains an important means of communication. In addition to book reviews, each issue contains the products of original research on the development of economic thought, the historical background behind major figures in the history of economics, the interpretation of economic theories, and the methodologies available to historians of economic theory. History of Economic Ideas is a new international series of Quaderni di storia dell’economia politica, a journal founded in 1983 to promote collaboration between scholars who share an historical approach to the major issues, the various «revolutions» which have left their mark on economics and the spread of economic ideas beyond the narrow circle of specialists. Besides essays and critical surveys, the journal includes archive material and reviews of new books on history of economics. History of Economic Ideas is double-blind peer reviewed. History of Economic Thought and Policy. History of Economic Thought and Policy is a new professional journal that continues the tradition established by the «newsletter of the history of economic thought» which was founded in Florence (italy) in 1972 by Piero Barucci, Francesca Duchini and Umberto Meoli. In 2004 the newsletter began a «new series» of biannual issues. History of Economic Thought and Policy accepts original papers across the full spectrum of scientific approaches within the history of economic thought. However, HETP has a special interest in analyzing the relationship between economic theories and public policy in different historical phases and national contexts. Œconomia ­­– History / Methodology / Philosophy is a quarterly bilingual (French/English) peer-reviewed journal. 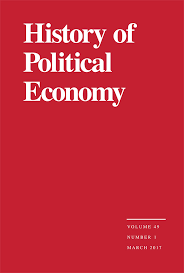 Œconomia ­has a broad coverage, publishing articles in history of economic thought, economic methodology and economic philosophy, but also in normative economics and economic history in relation to history of economic thought. Filosofía de la economía es una revista de epistemología y filosofía de la economía que se edita una vez al año y contiene un cuerpo central de artículos originales, notas y debates sobre las temáticas pertinentes, así como reseñas de trabajos /libros y tesis doctorales recientes especialmente relevantes. 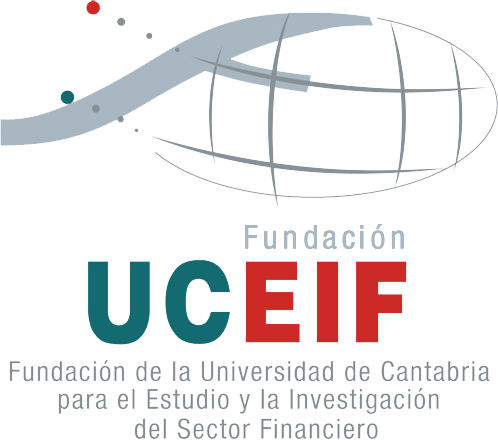 La revista la publica el CIECE (Centro de Investigaciones de Epistemología de las Ciencias Económicas, de la Facultad de Ciencias Económicas de la Universidad de Buenos Aires).